Crowe offers you the chance to develop your career with us. We value your skills and want you to grow with us as we expand. Our experienced staff are encouraged to develop professionally and to excel in their careers. 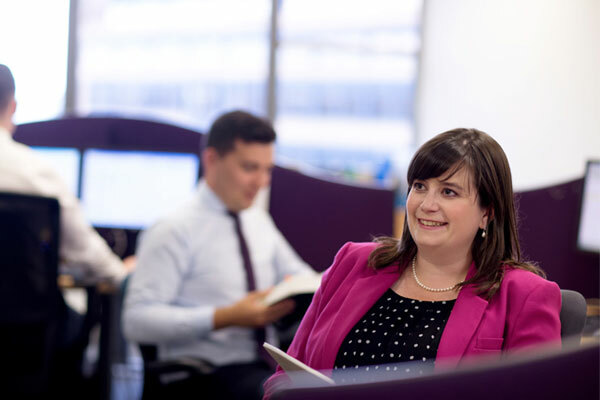 You will be part of an exciting business environment, working with some exceptional people in a firm that recognises and rewards hard work and fosters talent. Our exceptional mentoring and partner-led, dynamic approach, have helped develop some of Ireland’s leading audit, tax and advisory experts. We work in an open office environment with a culture that celebrates innovation and creative solutions. We welcome people who can bring energy and passion to their role and provide the support and development needed to build world class business advisers. If you are a bright, ambitious person who is a good team player but also able to work well on your own initiative then Crowe is a great fit for you. Visit or CSR page to learn more about our staff-led CSR programme and watch a video of our 2017 community support project. Kodaline shot their hugely successful video in our offices. 75 Years of lasting Relationships – watch our corporate video. To celebrate our 75th anniversary we have commissioned a new corporate video. The video celebrates our unique approach, our wonderful staff and our lasting relationships with clients.